In prior article, we introduced "ChatPad", a completely anonymous webchat service which enables you to enjoy thrill of one-to-one talking with total strangers. Gathering 6 million posts in only three days the service became a great success. 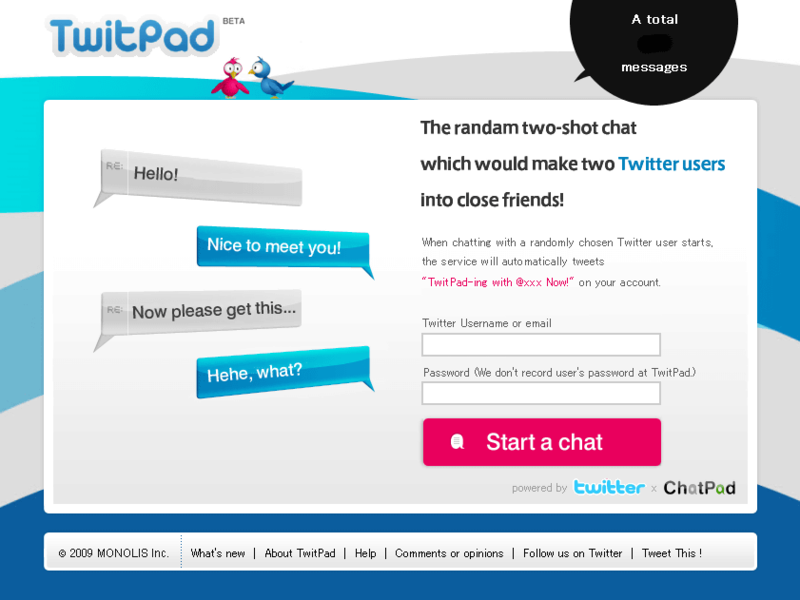 Now ChatPad has been enhanced. 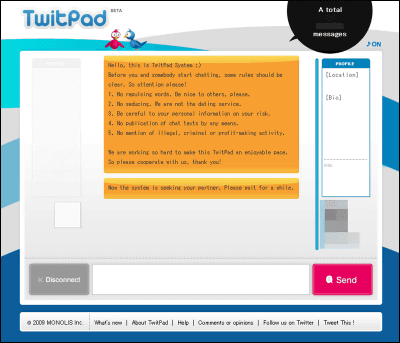 Combined with greatly rising micro-blog service Twitter, this unique chat service "TwitPad" now gives you an opportunity for more enjoyable chat with somebody. 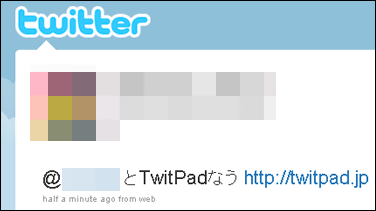 To use TwitPad, you need a Twitter account. If you don't own one, you have to create one beforehand. When chat begins, the system automatically introduces your Twitter account to whom you chat with. So your anonymity might deteriorate a bit. But considering that you can know partner's bio and start chatting smoothly, this will hardly be a disadvantage. Type in your "Twitter name or subscribed mail address" and "password for Twitter account". 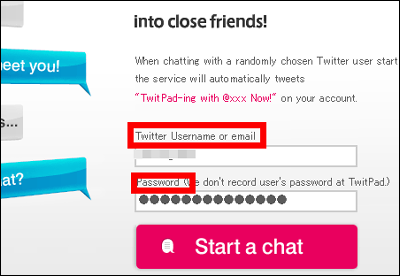 Then click "Start a chat". The system automatically seeks for your partner, who is connecting to the system. Different from ChatPad it's great to know what kind of guy you are talking to, in order to avoid pranks and spoofs. If you prefer total anonymity, ChatPad will continue to be on service.